Cathy Bussey’s new book, The Girl’s Guide to Life on Two Wheels featuring contributions from Cyclodelic launches this week and we were lucky enough to receive a preview copy through the post this morning. This image-rich, hard back book, is a practical guide for the modern female cyclist, promoting cycling as a fun, healthy, and stylish hobby and form of transport. Cathy addresses the oh-so-common excuses women give for not cycling and provides solutions to make the activity fit into anyone’s lifestyle. 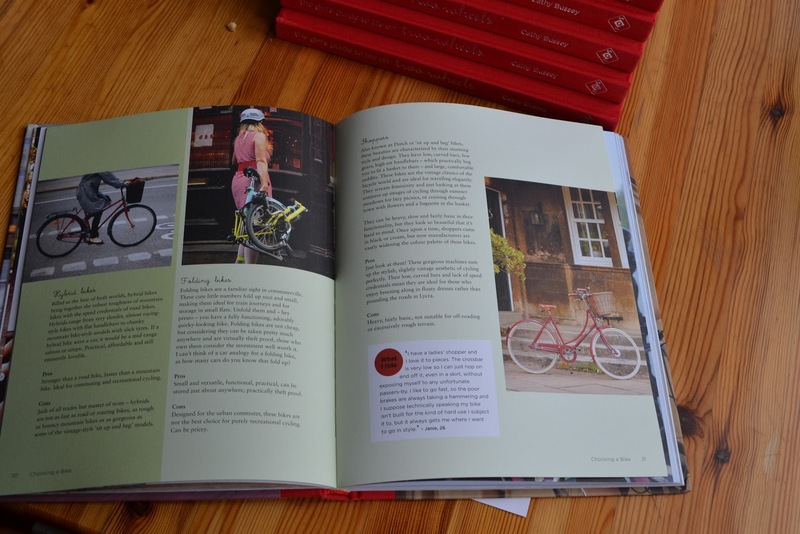 The Girl’s Guide to Life on Two Wheels also serves as a handbook for new cyclists, with information including bike-buying tips, exercises to improve one’s bike handling skills, and interviews with fitness bloggers and experts to keep new (and old) cyclists inspired. The book is filled with many lovely photos from Cyclodelic campaigns over the years, including our trip to Paris photographed by Ben Broomfield. 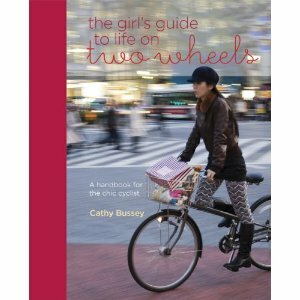 We wish Cathy lots of success with The Girl’s Guide to Life on Two Wheels! 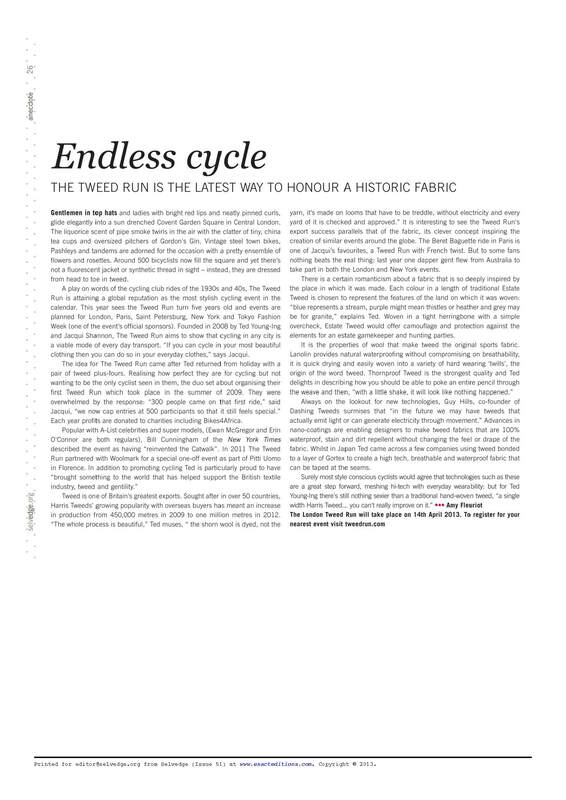 I had a great time researching and writing a feature on the London Tweed Run for this months issue of Selvedge Magazine. 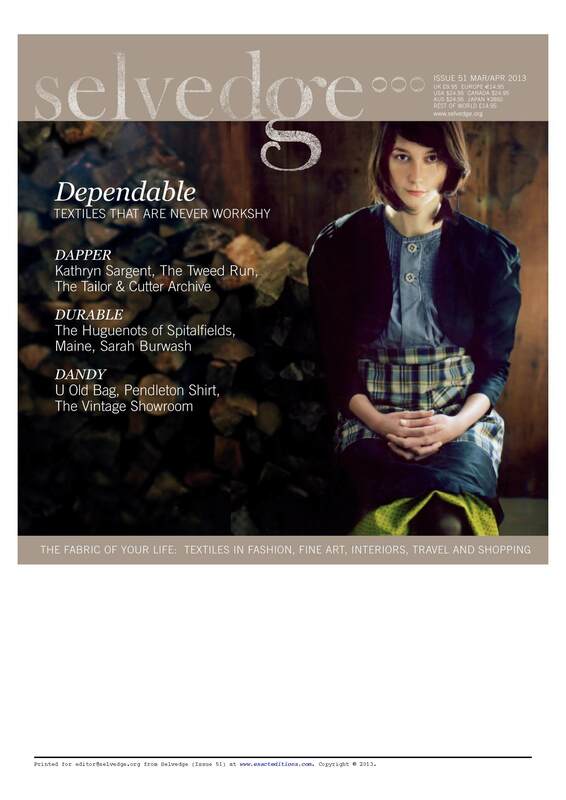 Selvedge is a beautifully put together monthly publication that explores the use of textiles across various contexts, including fine art, fashion, interiors, travel and shopping. 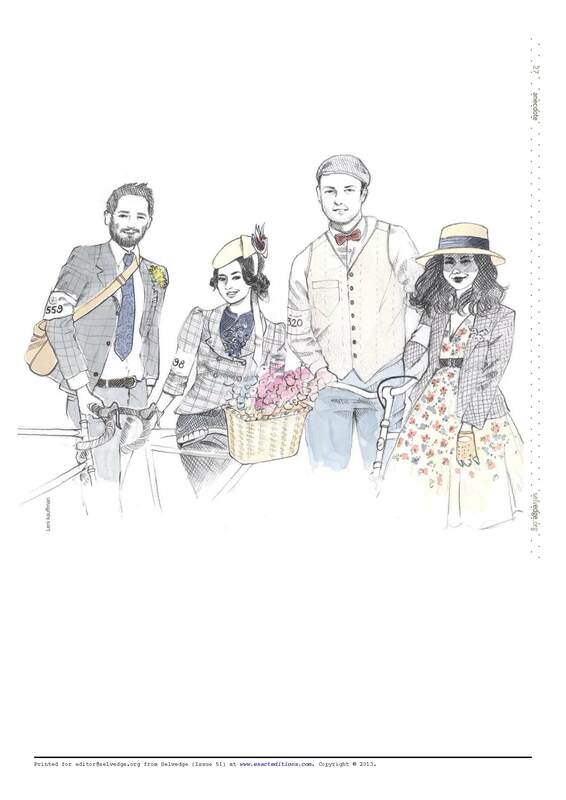 Look out for myself and the rest of the Cyclodelic team at the next Tweed Run on the 13th April 2013 where we’ll be joined by Jae Schmidt, owner of US bicycle boutique Houndstooth Road. Our guest blogger and fave yoga expert Sally Lovett launched her first book at The Wildfood Cafe in Neils Yard earlier this month. We went along to raise a glass of vodka and fresh berries (naturally) and chat to a glowing crowd of London’s wellbeing experts. As New Year’s Resolutions and detox fever sweep across the country The Wellbeing Guide to London is a must for everybody looking to achieve every day good health and relaxation within the chaos of the UK’s capital. “Increasingly, we Londoners are discovering that we can find our health and happiness right here right now,” says Tessa Watt founder of Slow Down London. 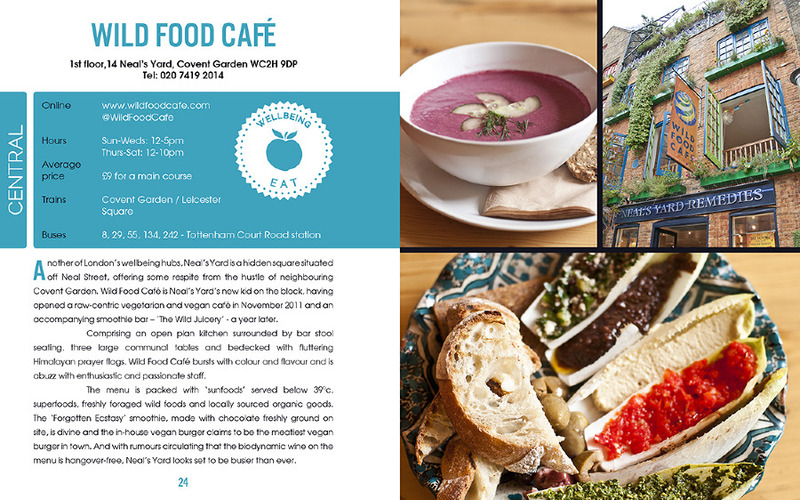 The Wellbeing Guide to London encourages us to do just that through it’s colourful reviews of the best organic eateries, yoga and meditation centres and studios, gyms and pools. “The sheer abundance and variety of brilliant places featured in the guide… proves that you don’t need to escape to a spa in Thailand to unwind, nourish and revive.” Says Sally. Priced at a healthy £10 The Wellbeing Guide to London is available to buy online here. 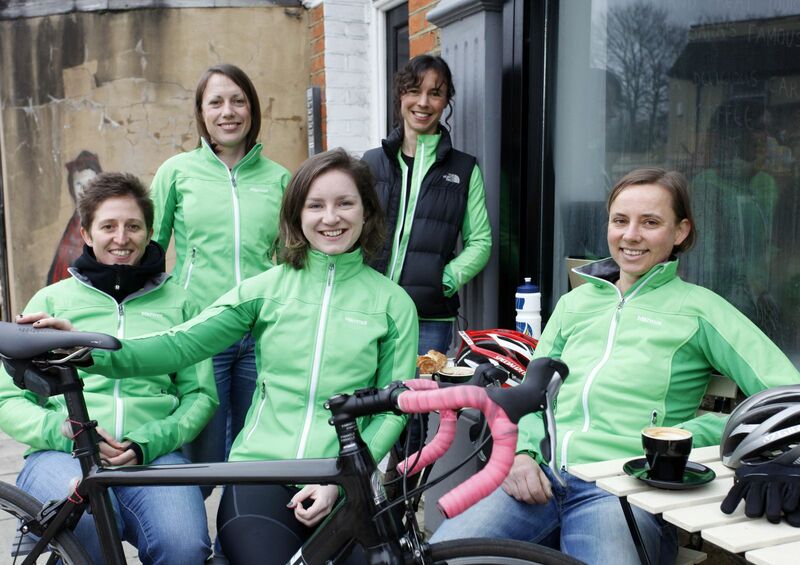 The CTC celebrated the launch of Team CTC, their first women’s cycling team, at The London Bike Show earlier this month. The team will be made up of six core riders of Elite, Category 1 and 2 status and will offer the opportunity for two guest riders to compete alongside the team in selected races. The team will compete in six overseas high profile UCI races, the National Women’s Individual and Team Road Race series, whilst also taking part in the thrilling Smithfield and Newport nocturnes. Riders on the team will also act as cycling ambassadors, encouraging cycling as part of an active lifestyle by taking part in events and mass participation rides. Feeling inspired to take your cycling further? Why not join a club yourself. British Cycling has a great online tool which allows you to find clubs across the UK. There are plenty to choose from and clubs such as Kent Velo Girls specialise in women only rides and races to suit all levels. Their ever popular training camp runs for a week from March 18th 2013 and the club organises easy rides every Monday, Faster Fridays and Sunday road rides with Time Trials for the more advanced. Are you a member of a cycling club? Let us know about it and we’ll feature you and your club here. LCC today released a video which aims to highlight the danger of lorries to cyclists. According to research 50% of cyclist deaths are caused by lorries even though lorries only account for 5% of the traffic. Please watch, pass on and stay safe. Although a lengthy ride and blast of fresh air can be just what we need at this time of year, there’s no denying that getting back on the bike after a few weeks of festive fun can be something of a struggle. Thankfully, our guest blogger and yoga teacher, Sally Lovett from Stretching the City is here to share some yoga tips and poses for pain-free pedalling. This pose lengthen out the hamstrings and gently stretches out the lower back, which can get compressed from many miles hunched over the handlebars. Stand with your feet hip-width apart and with bent knees gently fold over, hinging at the hips. Let your head drop completely, even giving it a gently shake from side to side to release your neck. Let your arms drop and fingertips rest on the floor, or alternatively grab hold of alternate elbows. Take 5 deep breaths, letting the weight of the head draw the upper body closer to the floor with every exhale. If it’s comfortable to do so on your lower back, start to lengthen the backs of the legs, raising the hips up to the ceiling. For an extra release in the lower back, sway gently from side to side with arms outstretched. Roll up super slowly, restacking the spine as you go and come to stand at the front of your mat in ‘mountain pose’. Begin by practicing a few standard ‘runners’ lunges before graduating on to lizard lunge to really increase the flexibility and mobility of the hips. A great all-rounder for cyclist’s tight hips, lizard pose stretches the hip flexors, inner thigh and quadriceps. Come into a lunge with your right leg forward and bent at 90 degrees so that the right knee is tracking over the ankle. Wiggle your right foot to the right and bring both hands on the inside of your right foot. Take an inhale and as you exhale, bend your elbows slightly and start to lower your shoulders – keeping both shoulders in line with oneanother. If it’s available to you, lower on to your elbows and rest your forearms on the floor. Alternatively, stay up on your hands. Hold for 5 breaths and repeat other side. Sustaining the cycling posture of hunching forward over handlebars tightens and compresses the muscles in the back. Maintain flexibility in the spine and open up the chest with this easy back bend. Lying face down bring your hands underneath your shoulders, so that arms are bent. Lowering your shoulders away from ears and elbows hugging into the ribs, press your hands into the floor and raise your upper body up on an inhale. Slide the shoulders down towards the waist and breathe expansively for 5 breaths using the full capacity of the lungs. 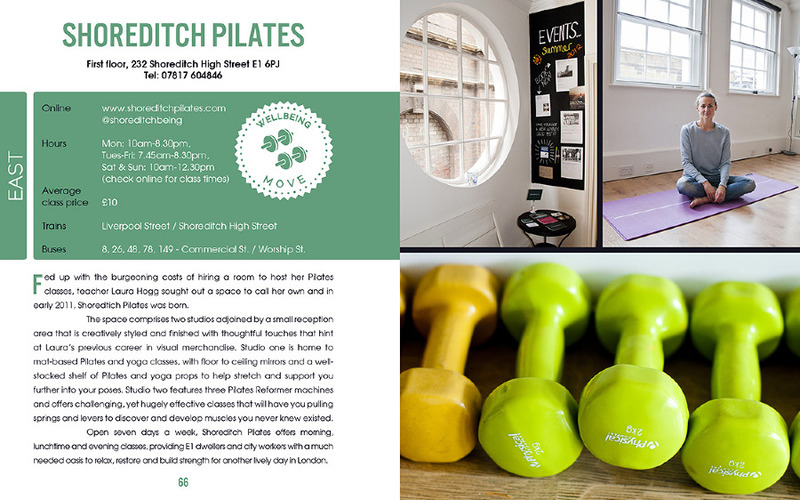 Sally teaches drop-in vinyasa flow and 6 week beginners yoga courses in Angel on Monday and Wednesday evenings. The next beginners yoga course starts on 14th and 16th January 2012 and has places still available. Visit www.stretchingthecity.com for more details. NEW 3M Reflective Accessories now available at Cyclodelic. Inspired by Columbia Road Flower Market. These items make the perfect stocking fillers for this Christmas season! Cyclodelic customers will receive FREE shipping off their Christmas order. Use code “christmasgift” at checkout. Applies to Standard Delivery ONLY! Join us for the first of our Christmas shopping evenings on Columbia Road! Stocking a selection of British Made and Fair Trade home ware and accessories ranging from stylish cycling gear to brightly printed leather dog leads and some bicycle bling to really spruce up your Christmas Tree! We can’t wait to see you tonight! Jimbob Art Grand Opening Today! This Saturday, the newest designer to join Columbia Road’s selection of independent retailers will open its doors for a Christmas treat! To celebrate the new opening, Jimbob Art will be brewing up some hot spicy cider on the stove all day as well as giving the first 10 people through the door a limited edition print and the first 20 purchases an additional free print! Jimbob Art, created by James Ward, brings the world of animals onto plates and mugs. His hand- drawn ceramics range has a woodland setting while the creatures have urban sensibilities and a love for cakes, biscuits, and cheese. From the Sandwich Defender to the Ghetto Badger, each animal has a personal quirk guaranteed to make any mealtime even more enjoyable. Inspired by illustrators from John Tenniel and Alan Lee to Street Artists like Blu, James Ward graduated from Westminster University with a degree in Illustration. James always has had a passion drawing animals, but was inspired after a trip to Stockholm, Sweden to put his creations on ceramic plates and mugs. We are excited for James and his grand opening! Come down to Columbia Road Saturday 1 December to enjoy a delectable minced pie while perusing and purchasing Christmas gifts this holiday season. 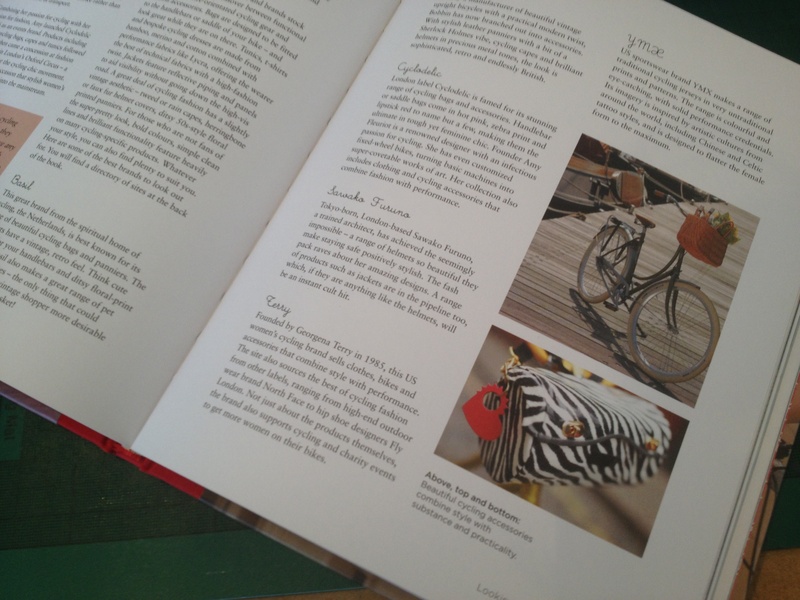 With your support, you will be helping the talented local designers of Columbia Road. If this Saturday does not fit into your bustling and busy Christmas schedule, both shops will be open for Christmas Wednesdays and the Flower Market each Sunday on Columbia Road.We will be opening our doors at 2pm to show some of our new Christmas gifts this season! Doors open at Jimbob Art at 146A Columbia Road from 12:00pm until 8:00pm. NEW House of Talents Bicycle Baskets! 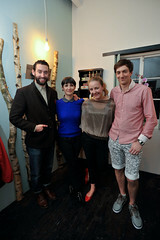 To be Fashionable and Make a Difference is not just our goal but also House of Talents’! Hand woven bicycle baskets made in Ghana, each basket has a unique design allowing you to pick the pattern and colour that most compliments YOUR bike and YOUR individual style. Inside each basket is a label with the name of the Ghanian artisan that wove the design. For example, the electric blue and hot pink striped design by the talented Akolgo Nboba. Produced using natural dyes without artificial sealants, these baskets will add something special to the front of your bike. The baskets priced at £55 to £60 will be available exclusively through our Columbia Road studio. So hurry down this Christmas Wednesday from 5-9PM or call us on 020 3086 7689 to book a weekday appointment to purchase your NEW basket TODAY before your favorite style goes!